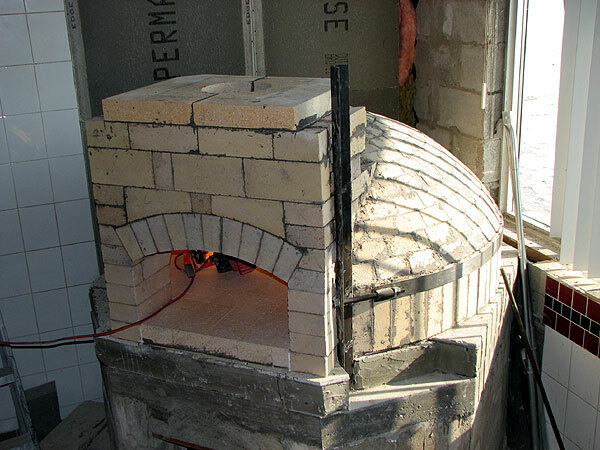 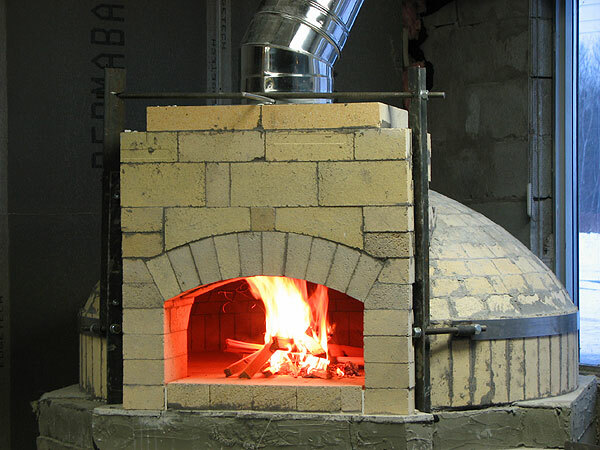 48” Commercial Brick Pizza Oven – Form-Free Construction. 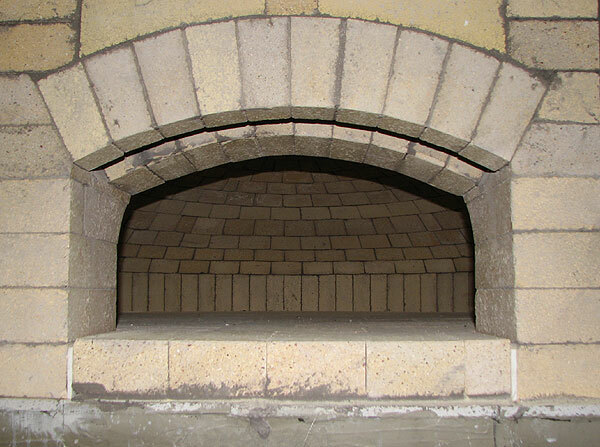 Dome for this 48” net baking space commercial pizza oven is built completely form-free. 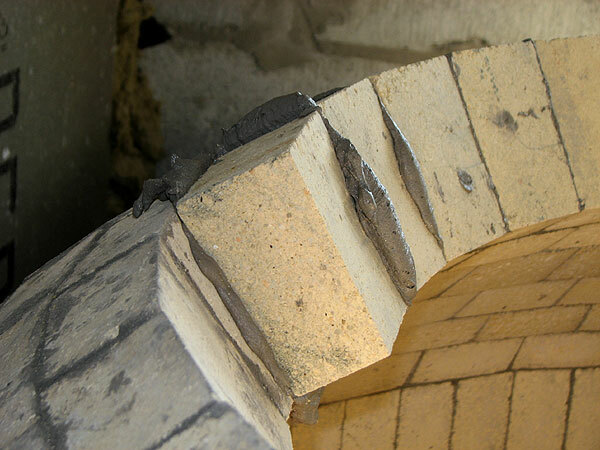 This technique is only possible utilizing our own creative cutting technique that allows minimizing number of cuts per brick required while keeping most joints within 1/8” only. 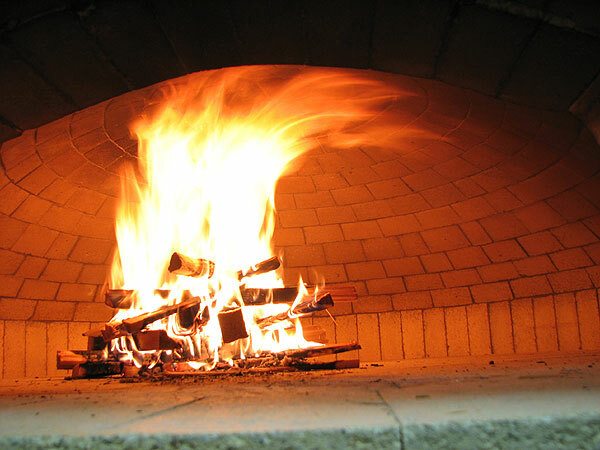 It results in very attractive, clean and extremely stable dome – ideal for commercial environment that bases its business on baking true Italian pizza. 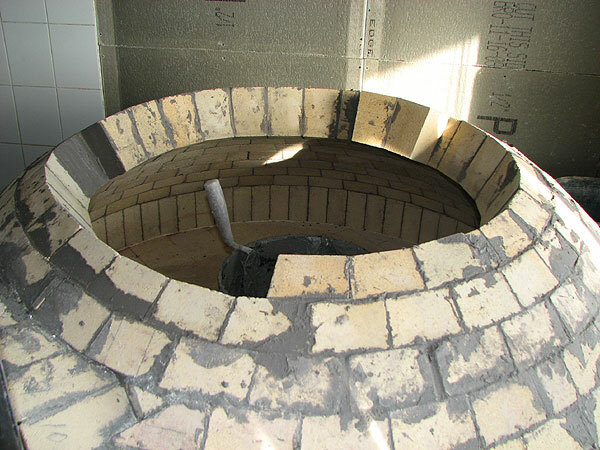 Dome’s height at peak: 17”, dome thickness: 4.5”, hearth thickness: 2.5”. 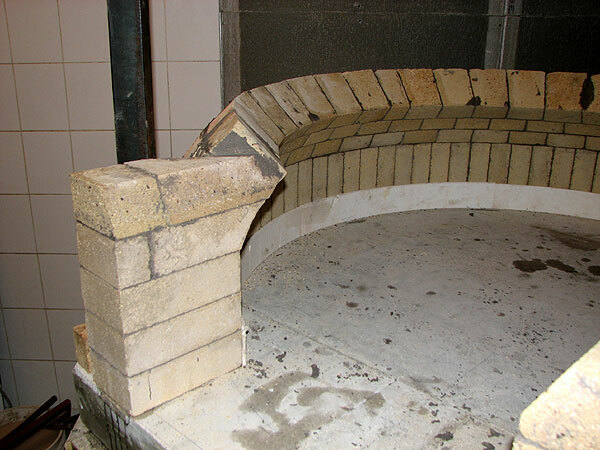 Using brick in hearth allows creation of ideally smooth baking surface. 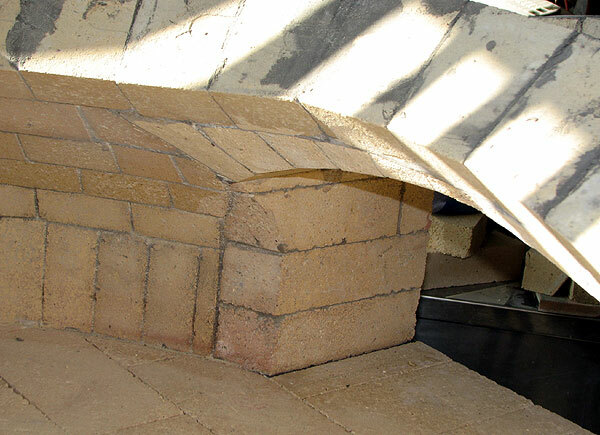 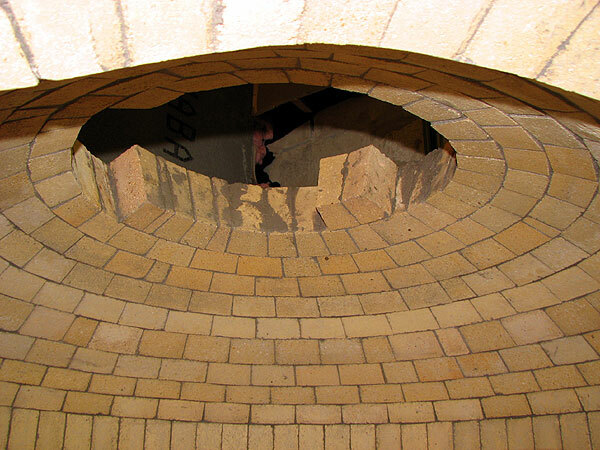 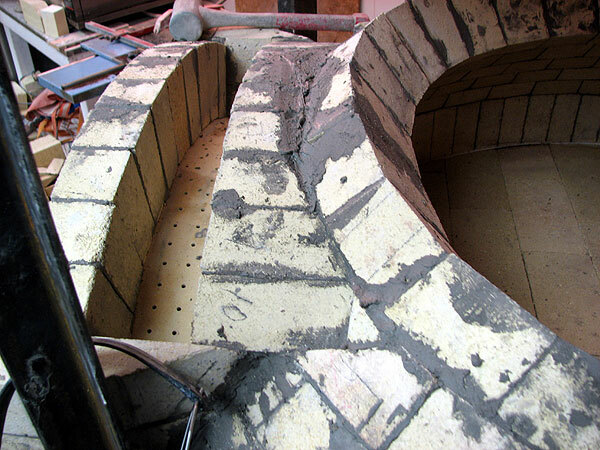 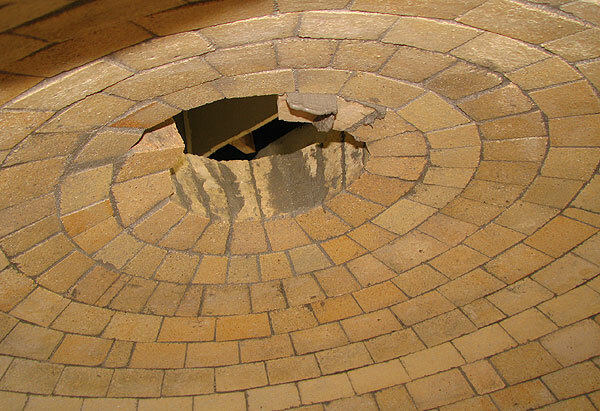 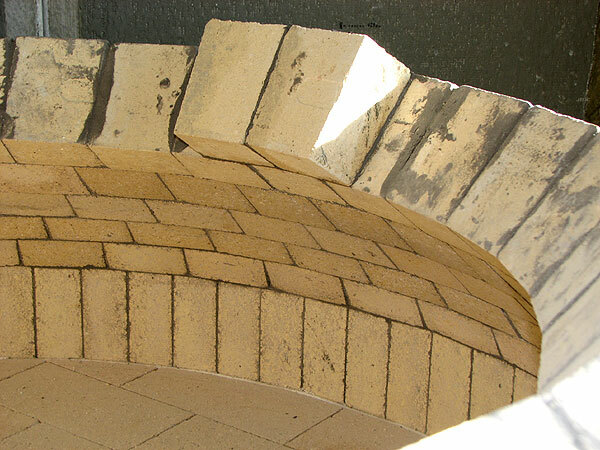 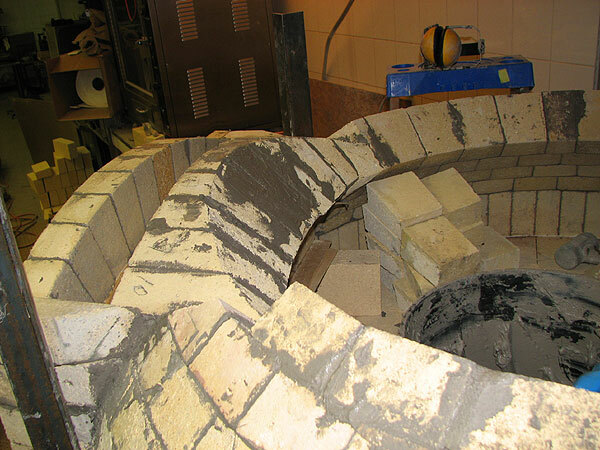 Entire hearth is set in clay mortar separate from the dome with continuous expansions joint all around, and each brick in the hearth can be easily replaced if required. 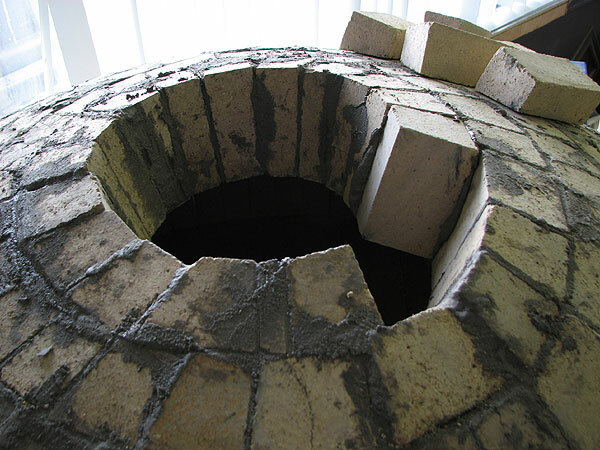 The dome has steel harness that guarantees trouble-free operation for many years. 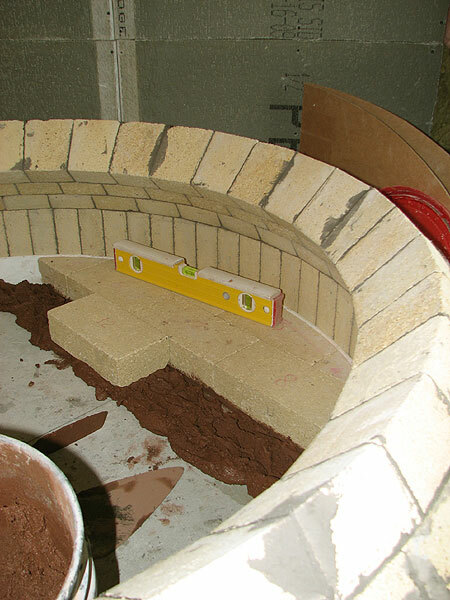 Thanks to John Fisher for the harness idea.